Click View this email in your browser to see the newsletter on a whole page! Scarecrows, Halloween, Neasham remembers and Pilates! 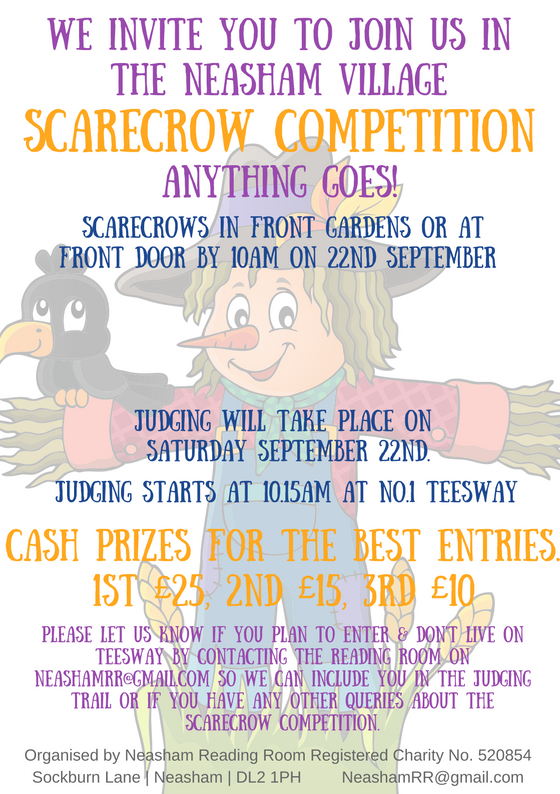 Saturday 22 September Neasham’s Scarecrow Competition. No specific theme will be dictated, so feel free to let your creativity run wild - there’s plenty of inspiration this year …royal wedding? suffragettes? First World War? or maybe something entirely different. Prizes 1st £25, 2nd £15, 3rd £10. Scarecrows in front gardens or at front door by 10.00am on 22nd September. Judging trail starts at 10.15am from No.1 Teesway, Neasham. Please let us know if you plan to enter and don’t live on Teesway by contacting the Reading Room at NeashamRR@gmail.com so we can include you in the judging trail. Our first ever village show. Great combination of make, bake & feast...& not forgetting the traditional pumpkin carving too! See full details on the website (click button below), including the entry form & purchase tickets for the feast. Join us for a Fangtastic evening! 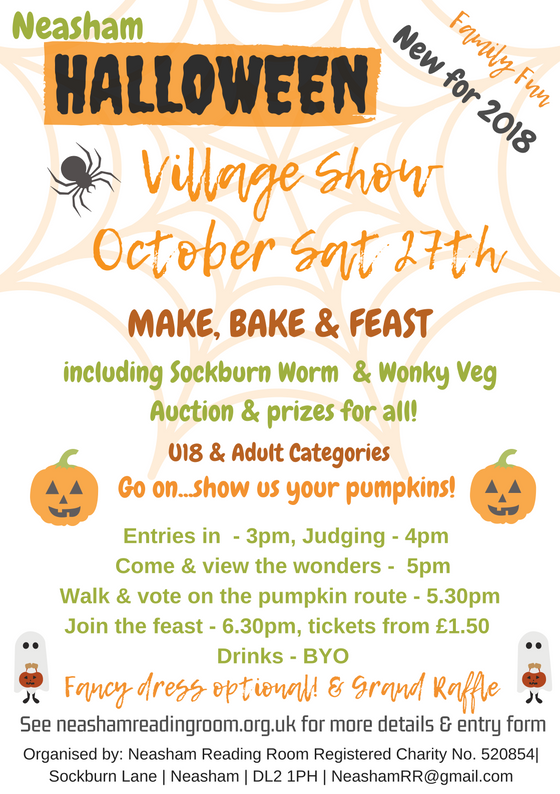 Village show info & Feast tickets - click here! 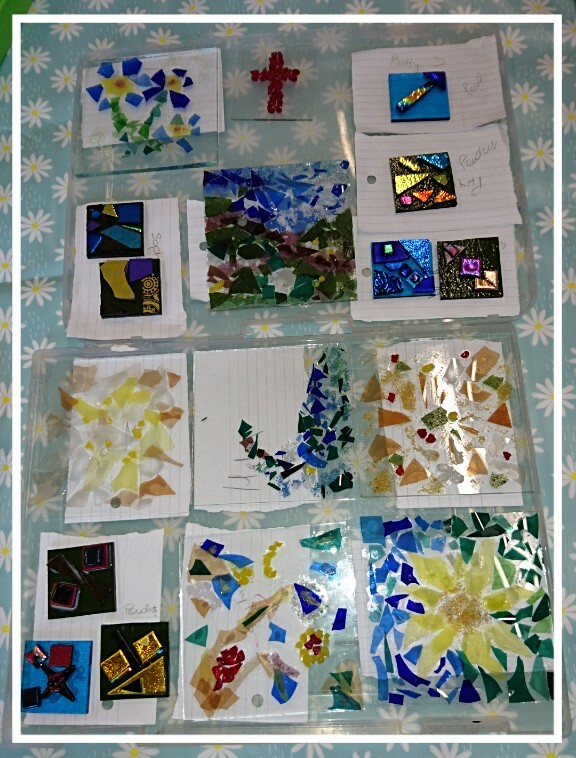 You are welcome to come and join our future sessions, supported by funding from the Radcliffe Trust, no experience necessary. Our sessions leading up to Christmas are below. Please let us know beforehand if you intend on coming. 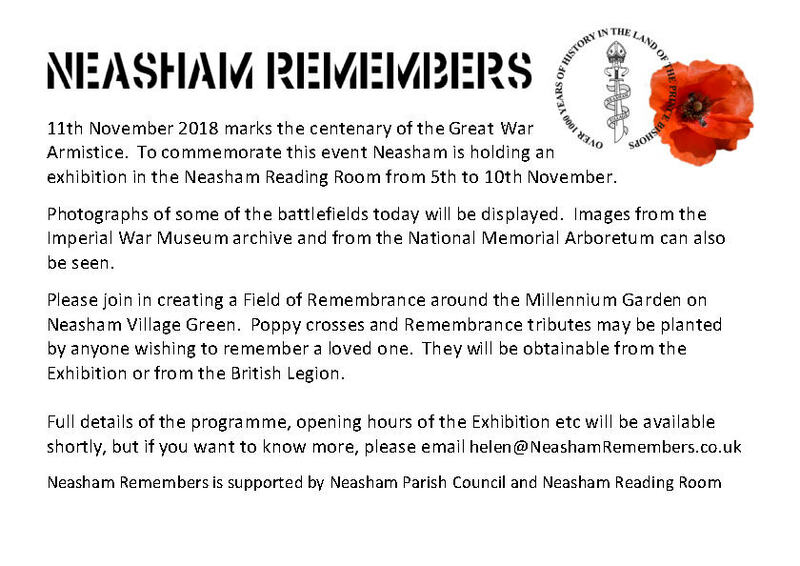 * Please note that the Neasham Remembers e-mail will be up & running from Monday 17th. Esmé will be holding Pilates classes, both in her therapy room & the Reading Room, from October. 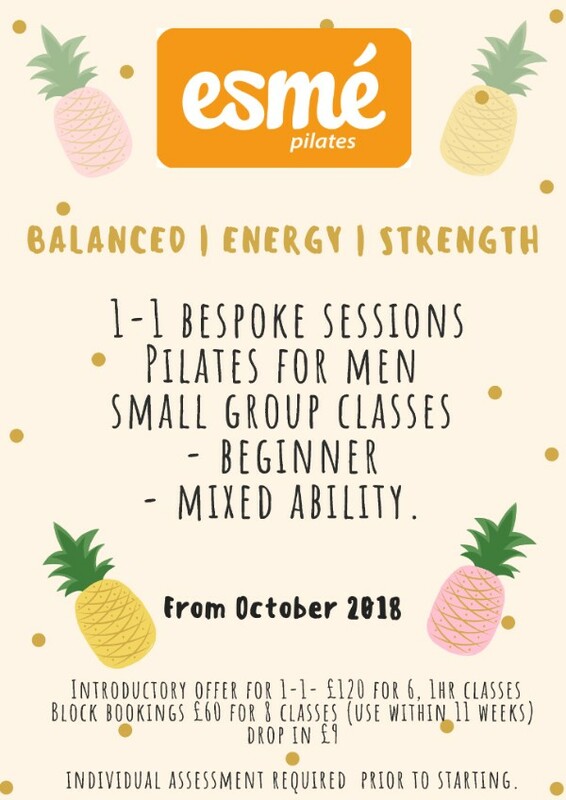 Individual assessment will include going through the fundamentals of Pilates and the set up positions that are used throughout the class, it will also ensure that you get the best from your Pilates.